Description: Clean hardcover in unclipped dustjacket, with edge wear and two 1/2" closed tears at front bottom right and front top center. Clean unmarked pages. Binding tight and square, corners sharp. 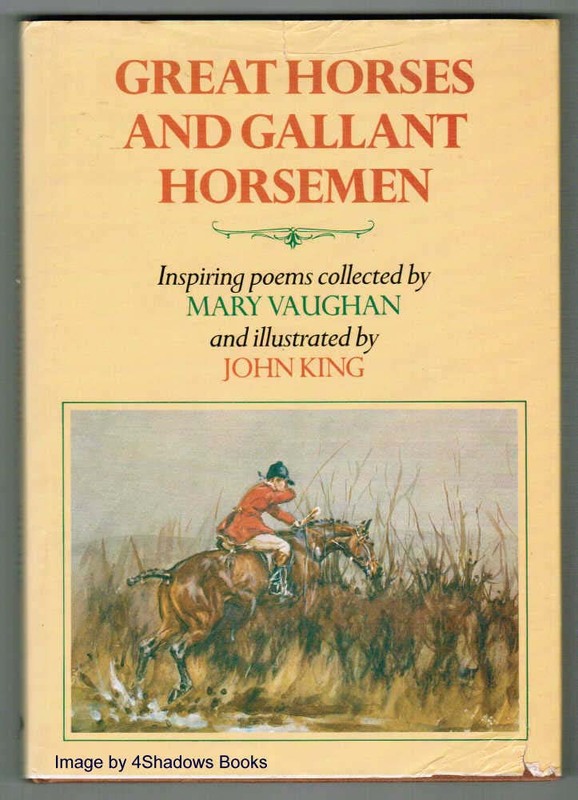 London: Quiller Press, 1988. 88 pages. 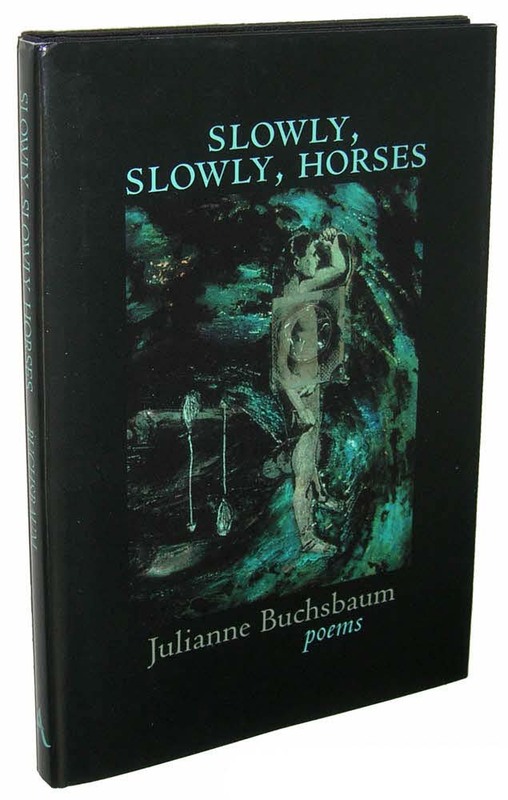 A collection of poems for horse lovers. Illustrated by John King. - - Carefully packed and promptly shipped with tracking provided. Description: Clean unmarked hardcover in gray cloth with dark red lettering front and spine, gray topstain, rough-cut fore and bottom. Binding and corners square, one weak spot at pp. 110-111 may once have been reinforced with tape. Very little light foxing to pastedown edges. Unclipped dustjacket with original $2.50 price, spine and edges tanned, several small chips and tears, now in mylar. Washington, DC: Anderson House, 1939. Stated First Edition and First printing November 1939. 125 pages, illustrated endpapers. - Basis for the 1948 classic John Huston film starring Humphrey Bogart, Lauren Bacall, Claire Trevor and Edward G. Robinson. - - Carefully packed and promptly shipped with tracking provided. Description: A few pencil lines to the back cover, a small stain to the front cover, otherwise reasonably clean and tight paperback in green paper wraps with black cloth binding and black design and title to front. Folds/creases to the bottom corner of the front cover and first couple of dozen pages. Boston: Houghton Mifflin Company & Cambridge: The Riverside Press, 1908. Edited with notes by Willliam J. Rolfe. Enlarged and Revised Edition, Riverside Literature Series No. 53. xvi, 274 pages, illustrated. - - Carefully packed and promptly shipped with tracking provided. 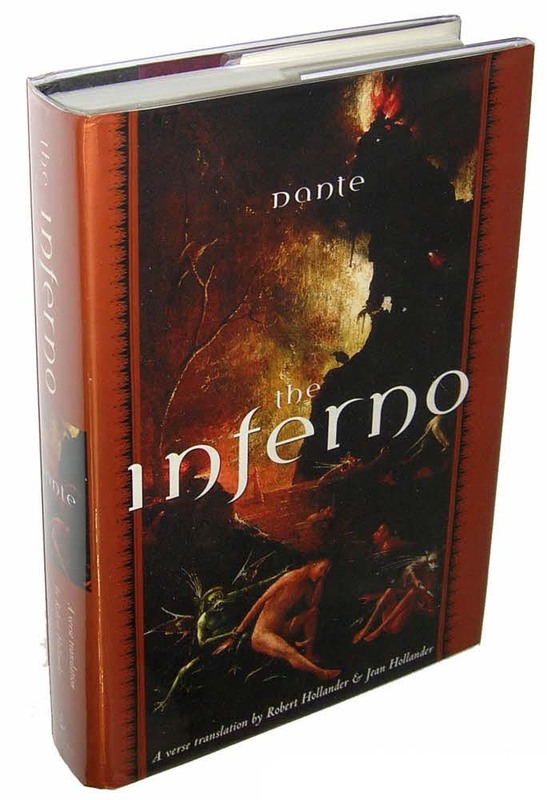 Description: Hardcover in blue cloth with gilt spine print, sunned spine and board edges. No dustjacket. Small stamp on pastedown and embossed seal to the half title page, no other marks. Binding and corners square. Totowa, NJ: Rowman and Littlefield, 1974. xxxiv, 225 pages. - Eighteenth-century Scots poetry. From the Introduction: "We have brought together in this volume a collection of the poems of Allan Ramsay and Robert Fergusson that, we hope, is representative of their best and most typical work. With two exceptions, both from Fergusson, our selection has been made from their Scots poems, chosen not only because they are Scots but also because they are their authors' best. Students of the eighteenth-century revival in Scots poetry - a revival that was to initiate a series of revivals, in the Scots verse of Robert Burns, James Hogg, Robert Louis Stevenson, Hugh MacDiarmid, and in the Scots dialogue of Walter Scott, John Galt and Lewis Grassie Gibbon - will find here basic material for their study, printed authoritatively and with the minimum of interference." - - Carefully packed and promptly shipped with tracking provided. Description: Green cloth with gilt wreath and author name on cover, title print on spine, gilt top edge. Mild edge and corner rubbing, lower front corner a bit soft. Front endpaper missing, half-title page torn at binding 2/3 from top and with brief gift inscription. Otherwise clean and tight with clean bright pages. Frontispiece portrait of Mr. Lanier, with tissue guard. NY: Charles Scribner's Sons, 1916. "New Edition." xli, 262 pages. - Sidney Lanier (1842â€“1881) was an American musician and poet. In Lanier's hands, the logaoedic dactylic meter led to a free-form, almost prose-like style of poetry that was greatly admired by Henry Wadsworth Longfellow, Bayard Taylor, Charlotte Cushman, and other leading poets and critics of the day. A large, elaborate bronze and granite sculptural monument in honor of Lanier, created by Hans K. Schuler, is located on the Johns Hopkins University campus, and another Lanier statue is on the Duke University West Campus in Durham, NC. - - Carefully packed and promptly shipped with tracking provided. Description: Clean new hardcover in crisp unclipped dustjacket. No marks. Binding tight and square, corners sharp. Keene, NY: Ausable Press, 2001. 86 pages. - - Carefully packed and promptly shipped with tracking provided. Description: Fresh, clean hardcover and crisp unclipped dustjacket, in fresh archival cover. No marks, writing, stains or damage inside or out. Very faint wrinkle at the spine ends. Binding tight and square, corners sharp. Very clean. NY: Doubleday, 2000. Stated First Edition with full number line, 1st printing. xxxiii, 634 pages. - First in the three volume set, noteworthy side-by-side verse translation by the Hollanders. - - Wrapped, boxed and promptly shipped with tracking provided.